As of Monday there will be 165 less services running amid the time table change chaos which has left thousands of passengers in disarray. This is despite many of Northern rails trains during peak hours being at full capacity. 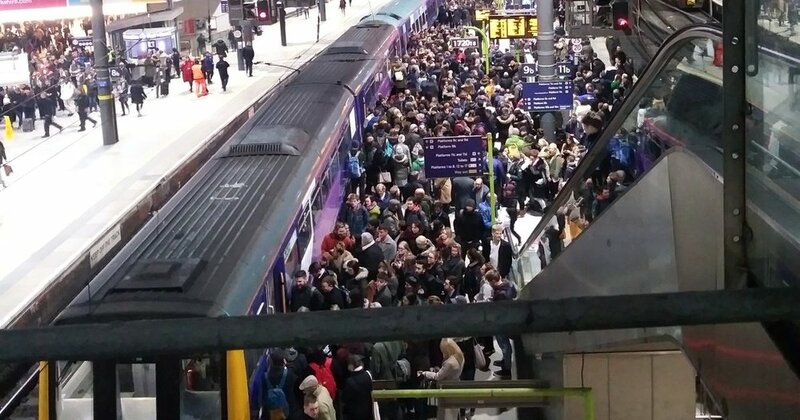 Northern rail passengers have been left frustrated after the major rail timetable changes. One passenger who spoke to our editor stated they had paid over £200 for train services in one week. Dawn Bishop said that all but one train was delayed and that two trains were cancelled with no replacement bus services. This echo's many of the experiences of other passengers across the North. One passenger had paid for a ticket from Selby to Garforth, only to be told when the train had set off that it would no longer stop at that station due to running late. Selby rail station staff have also said that some trains have been entering on the wrong platforms. It is understood that public opinion on nationalising failing franchises is growing in popularity and Andy Burnham the mayor of Manchester has backed Jeremy Corbyns proposals. Mary Creagh Labour Mp has stated that services are unfair and inadequate and the North of England have been lumbered with extra peak rail charges since 2014. She also stated that these fair rises are for poorly run, dirty, over packed, over heated and underrated trains, which are often cancelled and delayed. When questioned on wether she thought transport secretary Chris grayling should be sacked she said she would rather him get on with sorting out the mess. Many of northern rails train stock are outdated, old and do not adequately serve the North. Trains are over packed, many do not have plug sockets nor wifi for customers. Northern Rail have commented saying that small reduction in rail services is to eradicate the current problems. Uk citizens are lumbered with the most expensive rail tickets within the European Union, whilst having to endure some of the worst run services across the EU. People are paying premium prices for a very poor service.